The CDS is one of the best jobs for youngsters, who want to serve their motherland. On qualifying for this exam, they can be recruited in Indian Army, Navy and Airforce as officers. The forthcoming - CDS exam 2018 is about to commence. 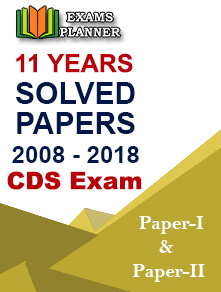 In order to have a thorough preparation for this exam, it is very important for candidates to get complete detail about CDS Exam Syllabus 2018. By knowing this, they will come to know about the topic of various subjects, which are covered under this exam. English: Reading comprehension, Jumbled sentences, Fill in the blanks, Sentence correction and Finding errors and omissions. General Knowledge: Current Affairs of last 6 months, Indian Economy, Indian Politics, History, Geography, Sports, Banking sector, Awards & Honors Sports, Finance, Agriculture, Books & their Authors and RBI Functions & Policies etc. Number System: Natural numbers, Fundamental operations, Ratio and Proportion, profit and loss, applications to simple and compound interest, percentages, time and work, time and distance, Unitary method, Decimal fractions, Square roots, addition, subtraction, multiplication, division, Rational and Real numbers, Integers and Variation. Elementary Number Theory: Multiples and factors, Factorization Theorem, Tests of divisibility by 2, 3, 4, 5, 9 and 11, H.C.F. and L.C.M, Euclidean algorithm, Logarithms to base 10, Use of logarithmic tables, Prime and composite numbers, Laws of logarithms and Division algorithm. Geometry: Plane and plane figures, Lines and angles, Properties of angles at a point, Parallel lines, Sides and angles of a triangle, Congruency of triangles, Similar triangles, Concurrence of medians and altitudes, Properties of angles, Circles and its properties including tangents and normals, Loci, Sides and diagonals of square, rectangle and parallelogram. 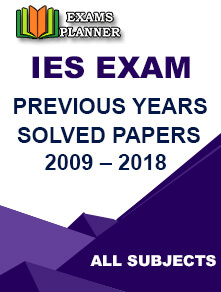 Algebra: Set language and set notation, Laws of indices, Rational expressions and conditional identities, Practical problems leading to two simultaneous linear equations, Simultaneous linear inequations in two variables and their solutions, Simultaneous linear equations in two unknowns—analytical and graphical solutions, relation between its roots and coefficients, solutions of quadratic equations, theory of polynomials, Remainder Theorem, Basic Operations, simple factors, H.C.F., L.C.M etc. Statistics: Graphical representation frequency polygons, collection and tabulation of statistical data, measures of central tendency, histograms, pie charts, bar charts etc. Mensuration: Areas of squares, circle, triangle, rectangles and parallelograms, Areas of figures which can be split up into these figures Surface area and volume of cuboids, lateral surface and volume of right circular cones and cylinders, surface area and volume of spheres. 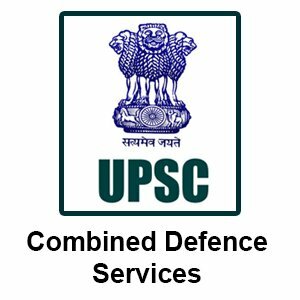 Candidates applying for the CDS Exam 2018 must have Indian citizenship. Those who apply for Air Force Academy must have passed 12th in science stream with Physics and Mathematics from a recognized board or must have passed engineering from a recognized college or university. For Naval Academy, the applicants must have passed engineering from a recognized Institution or University. The educational qualification for Indian Military Academy is a Bachelor’s degree from any recognized college or university. Students who are taking the final year exam can also apply for this exam, provided they are able to submit the proof of their passing the 12th exam at the time of the SSB interview. Those, who apply for Air Force Academy, should be from 20-24 years of age by January 2018. There is relaxation in age for two years for those who have a valid commercial pilot license from DGCA. Married candidates are eligible for this exam, but those who are below 25 years of age should not be married. Moreover, candidates are not allowed to get married during the training period. For Naval Force Academy, candidates should not have been born before 2nd January 1994 and should not have been born after 1st January 1999. For this academy, only unmarried male candidates can apply. For officers training academy (SSC for Men), candidates should not have been born before 2nd January 1993 and should not have been born after 1st January 1999. Both unmarried and married candidates can apply. For officers training academy (SSC Women, Non-Technical), women candidates should not have been born before 2nd January 1993 and not after 1st January 1999. Candidates should note that apart from meeting eligibility criteria mentioned above, they should be both physically and mentally fit in accordance with the guidelines laid by the academy. 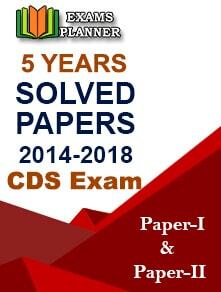 Yes, you can apply for CDS. After 12th exam, can I go for cds exams.